grown fruits and flowers with unique flavor and color. 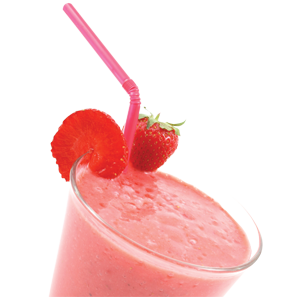 We puree and blend our smoothie mixes weekly. Our first time customers often comment how fresh our Smoothies taste and our returning customers know exactly what to expect, making us there 1st stop from the Lihue Airport. It’s the best way to start their Kaua’i vacation! Consider stopping in after a kayak trip on the Wailua river or tube ride just up the road. Were located 3 minutes North of the Lihue Airport, stop by our store for the freshest Kaua’i Smoothie! Hawaii grown pineapples are picked from small fields in Ele’ele Kaua’i to Oahu and Maui. These local grown pineapples are packed here in our store daily. They are ready to check in with all airlines leaving Hawai’i. 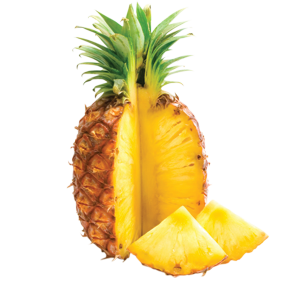 Our boxes of 2, 3 or 6 pineapples are U.S. Agriculture Approved to go anywhere in the U.S., and Canada. Air Shipping is available upon request. We are Kauai’s Oldest Pineapple Company!! 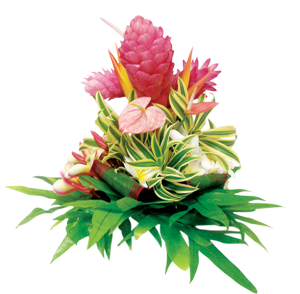 Shipping Kaua’i grown tropical flowers is most important to our Company. Our commitment has always been from the flower farm to your front door. Our packers are busy from 6am daily, washing and cleaning to ensure every gift box is properly packed with utmost personal care and attention. We give all the credit to our loyal farmers we’ve worked with for over 26 years – they continuously supply us with the highest quality flowers – rain or shine. We’ve grown up with our customers and know the price we would pay for missing Mrs. Bennett’s favorite Heliconia colors, and our repeat customers like the Cook Ohana and the Watson’s Annual Anniversary order of 5 dozen Anthuriums. That’s why they return back year after year for the best Tropical flower gift boxes! Kauai Fruit & Flower offers Hawaiian grown papaya, unique in flavor and color. 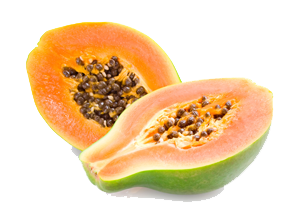 We carry both Solo and Sunrise varieties of sweet papaya. When leaving all Hawai’i Airports, papaya are prohibited from being taken unless they are pre-packaged and sealed properly. We are Kaua’i’s only source for U.S. agriculture pre-approved boxes of papaya. Boxes may be taken as checked baggage or shipping to your home is optional. 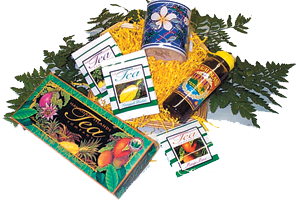 We offer baskets filled with the best flavors from all our Hawaiian islands. Kaua’i coffee, chocolate covered macadamia nuts, dried mango, tropical Iced teas, Guava Mac cookies, Tropical fruit jams, Coconut cookies, island candies and other varieties of local confections. Not to forget a Fresh Pineapple is always included in each basket! Each basket is beautifully wrapped with a gift card including your personal message of Aloha! or ”Shipped“ – We can have your order shipped 2 day Air to you! ©2015 Kauai Fruit & Flower Company. Website design by Hagadone Digital.